An elegant design that fulfills multiple purposes. The Komolab Maple Wood and Concrete Stool is a perfect choice for modern living spaces where function is just as important as style. Crafted in Louisiana, the seating embodies the brand’s exploration of “useful aesthetics” in a refined way. 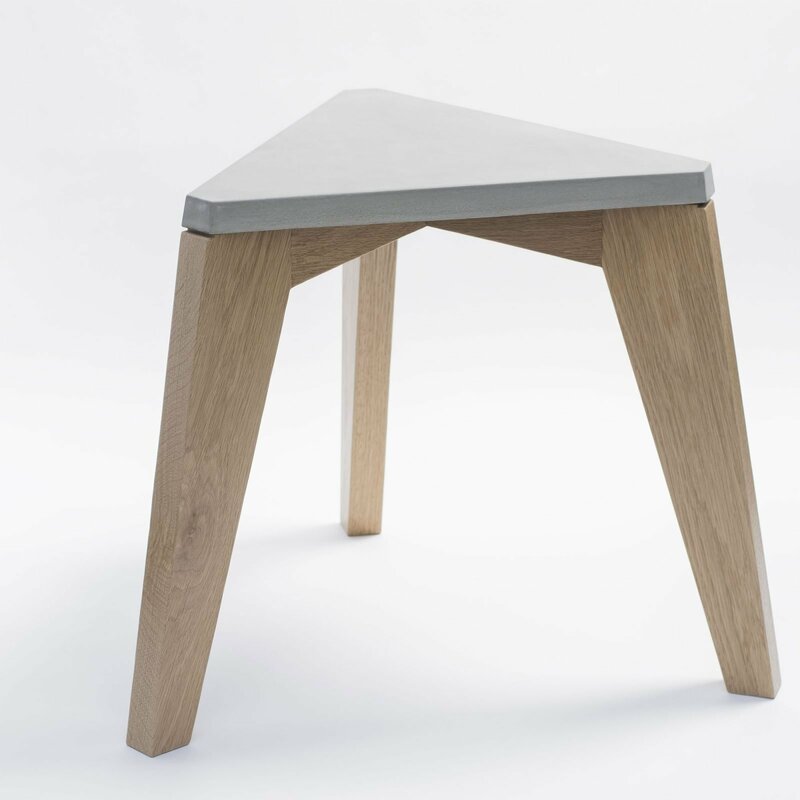 The three solid maple legs meet at the center to provide support to the concrete top, which features a symmetric equilateral triangle shape. Contrasting textures and hues create a play between the two complementing materials, linking urban environments and nature. This compact stool blends into any space and it’s ideal either as a stationary seat or as an accent side table. Gessato is an authorized retailer of Komolab products. We purchase all of our Komolab products directly from the company in order to bring you genuine items that represent the best in contemporary design. Every Komolab product in the Gessato shop is authentic, comes with official brand packaging, manufacturer’s warranty (where applicable), and is sold with Komolab's authorization.